Our gallery shows some of the many vehicles and projects we’ve been involved in over the years. 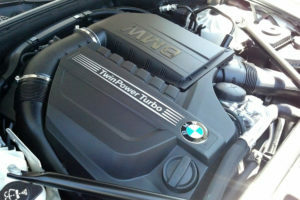 Much of our work involves BMW & Audi repair. Being in a mountain town where drivers rely on AWD vehicles, Audi has long held the award for best all-around winter driving vehicle with BMW trailing closely behind. So, if something doesn’t sound right, or feels wonky, bring your Audi or BMW in for repair or service and we promise your satisfaction will be guaranteed. BMW & Audi drivers have recently praised Higher Ground for work in reviews on Facebook, Google+ and Yelp. Check our Testimonials page to learn more about what people say about our Audi & BMW repair. As you can see from the photos, we offer a wide range of services and repair for your German or Japanese vehicle (excluding tires or alignment).